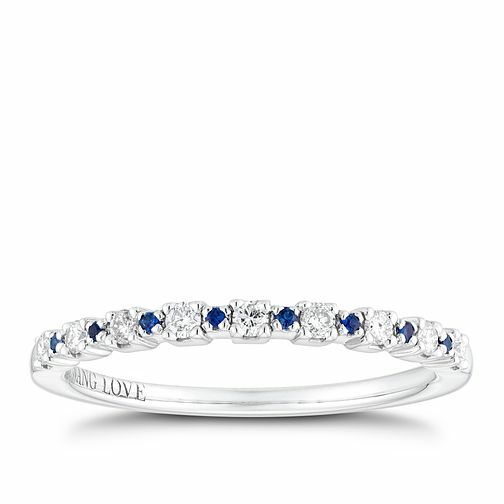 An elegant eternity ring by Vera Wang, as part of the LOVE collection. Crafted from sleek sterling silver, the gleaming band is embellished with alternating divine diamonds and opulent sapphires, set within 4-claws. Celebrate your love and life with Vera Wang.